With reference to the subject 1&2nd cited above, you are requested to upload the attendance Unit test&Sessional marks of the following schedule. 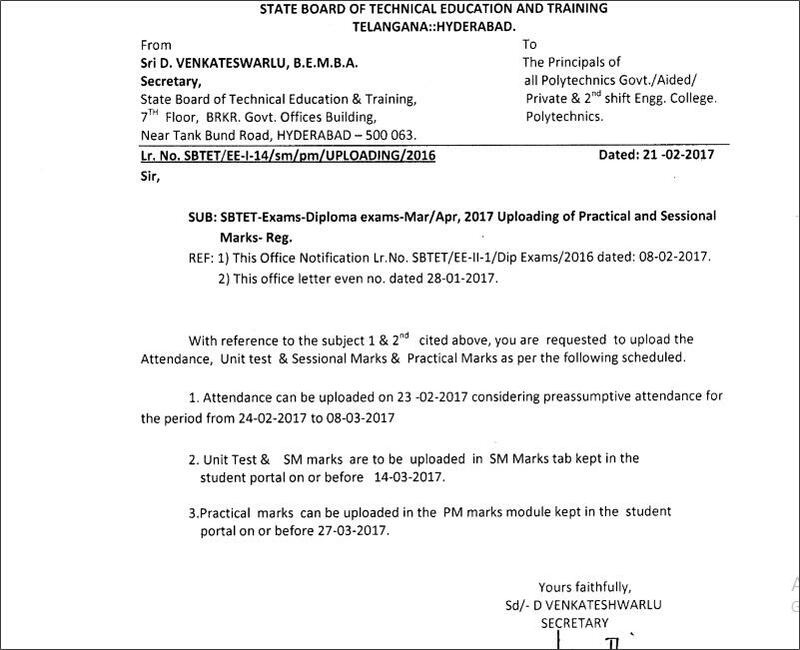 SBTET Diploma Exams Internal marks March/April 2017 Uploading of Practical and Sessional Marks. If you have any Doubts Regarding to this post, comment below.